Down time is the enemy of productivity. 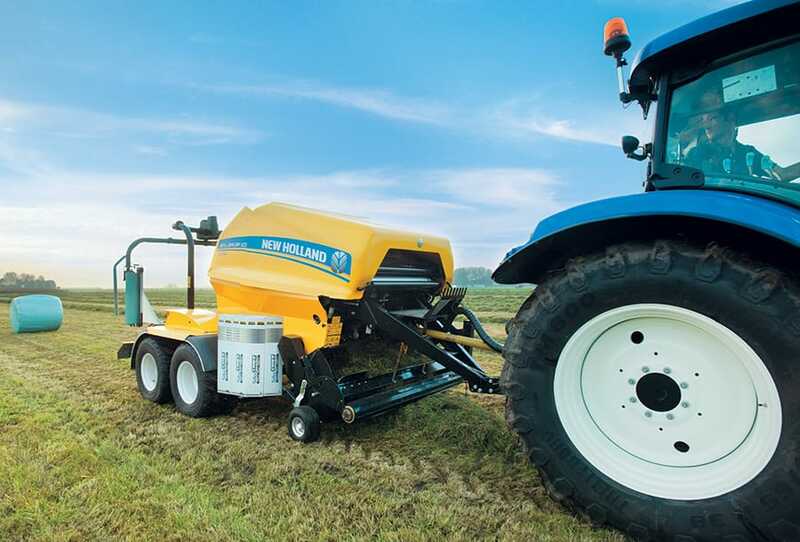 New Holland has worked hard to ensure all Roll Baler models are easy to set up, straightforward to drive and have simple servicing requirements. The fine details have been carefully considered. Loading full rolls of net wrap and film is simple, with sealed storage to help keep the operator clean when swapping rolls. Daily greasing and routine checks are easy to remember and simple to carry out. 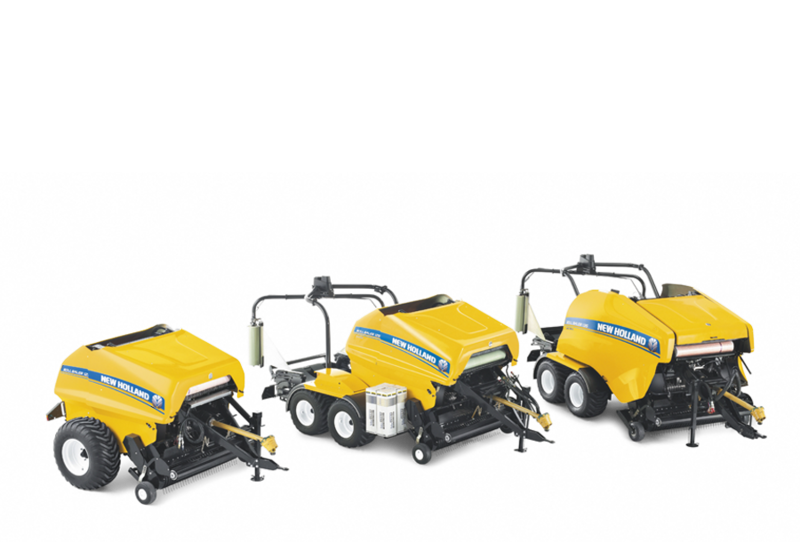 The automatic lubrication system does it’s job reliably and is easy to top up and check. 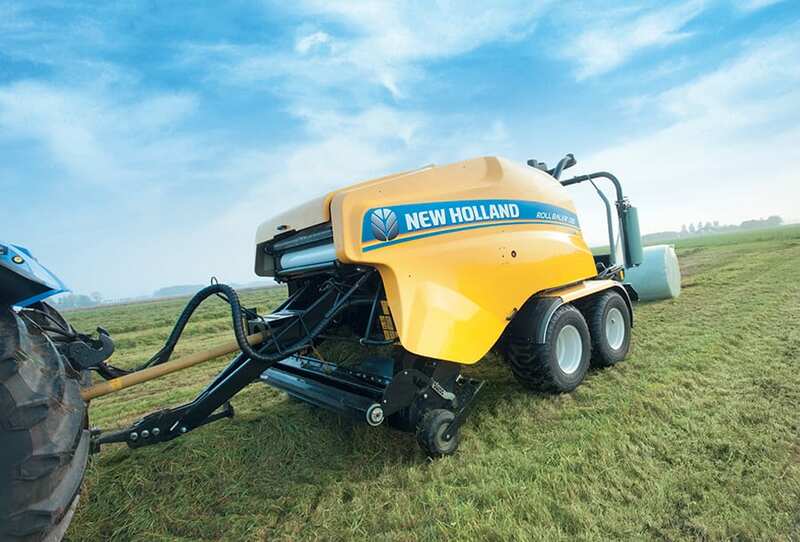 With New Holland Roll Balers, you spend more time working. The stylish side panels on all models lift on gas struts to provide easy service access. 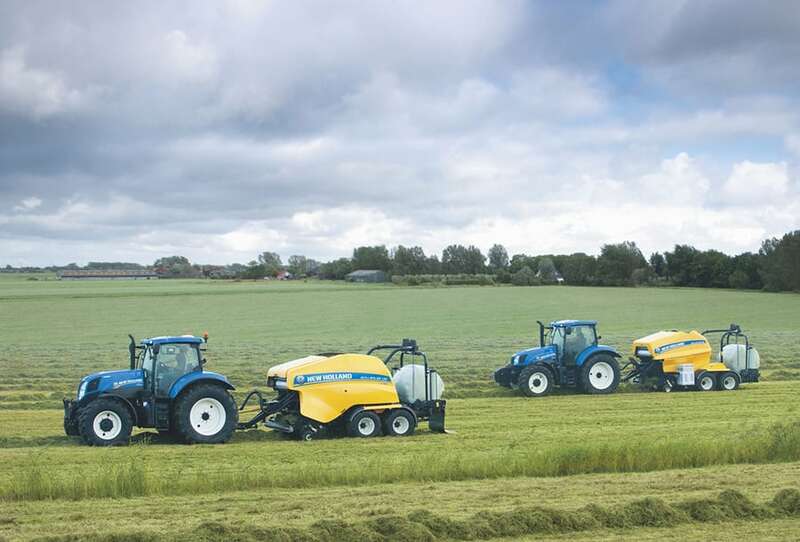 The panels help reduce debris build up, making it easier to check the balers both before and during work. Convenient tool storage is also a feature on the two larger models in the range. Easy to check and top up with grease, the centralised greasing system is extremely efficient too. 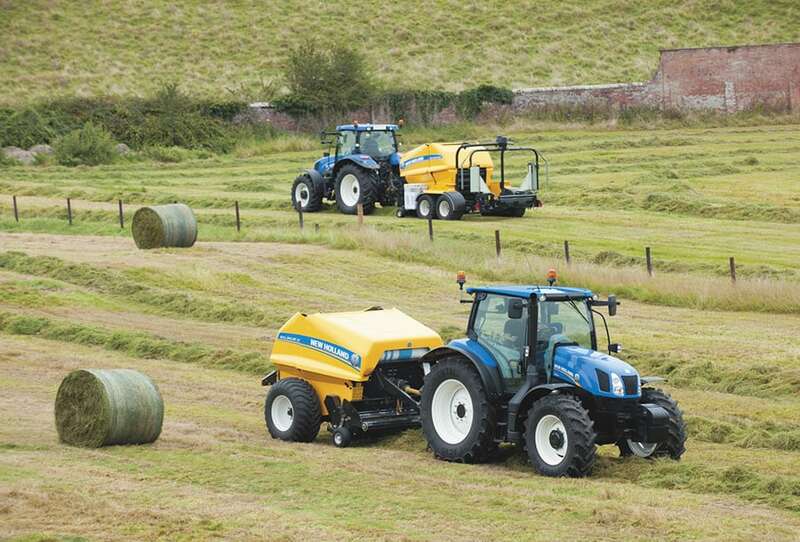 The sleeve bearings are fed a carefully metered amount of grease to ensure prolonged operating life of tens of thousands of bales, on even the hardest working lower rolls. The bearings are easy and economical to replace. 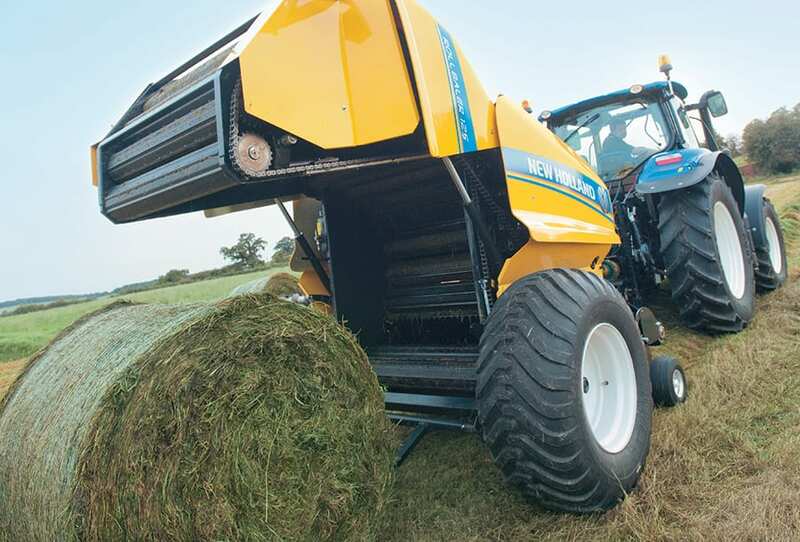 To prevent the baler chamber tailgate closing during servicing, both 125 models are fitted with a ram stop, the 135 featuring a ram-locking tap. 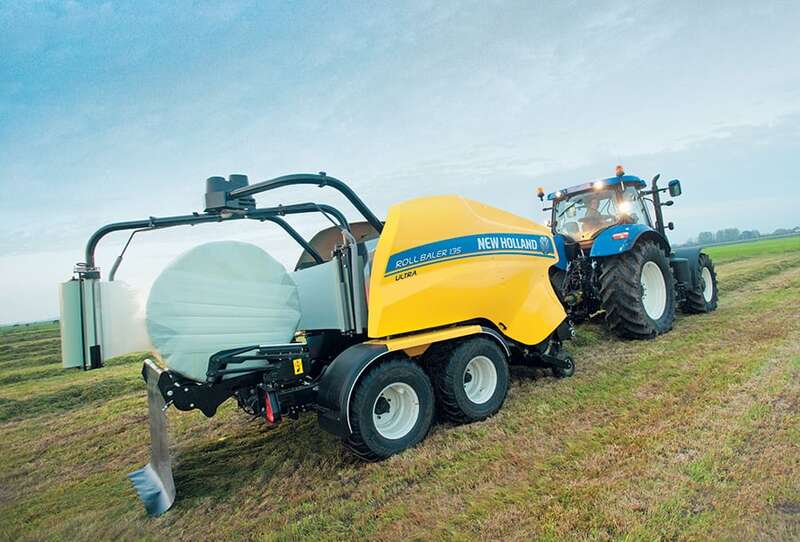 Ease of service is a key New Holland feature. The net and film roll storage points are positioned so they are low and easy to access. 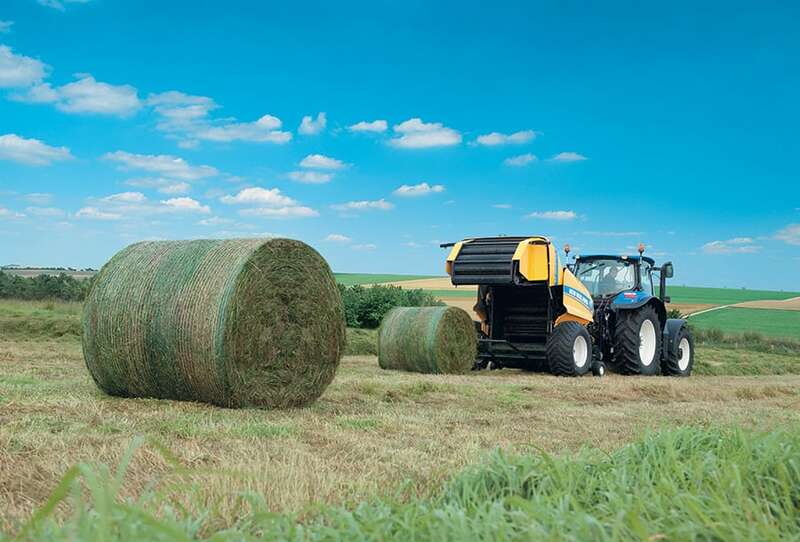 Fitting new rolls is made as easy as possible to reduce downtime. 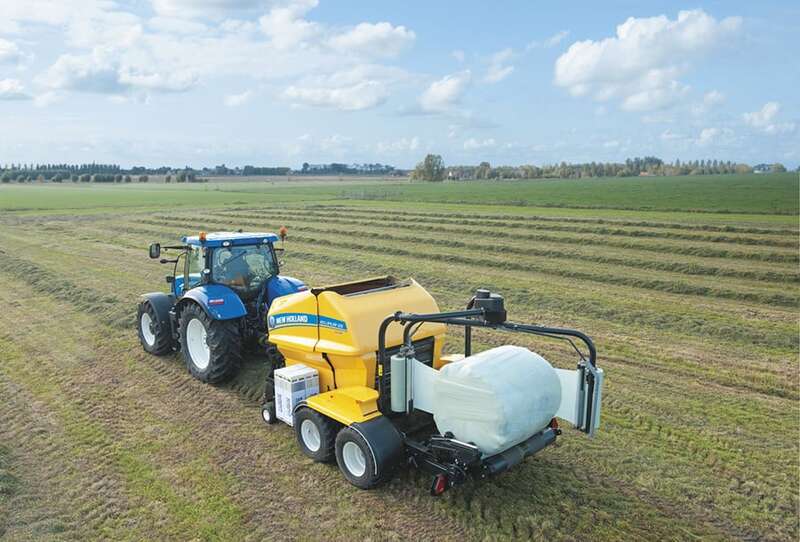 Designed to use universal 10-40 oil, the chain oiling system feeds lubricant to the distribution brushes only when the baler tailgate is opened. 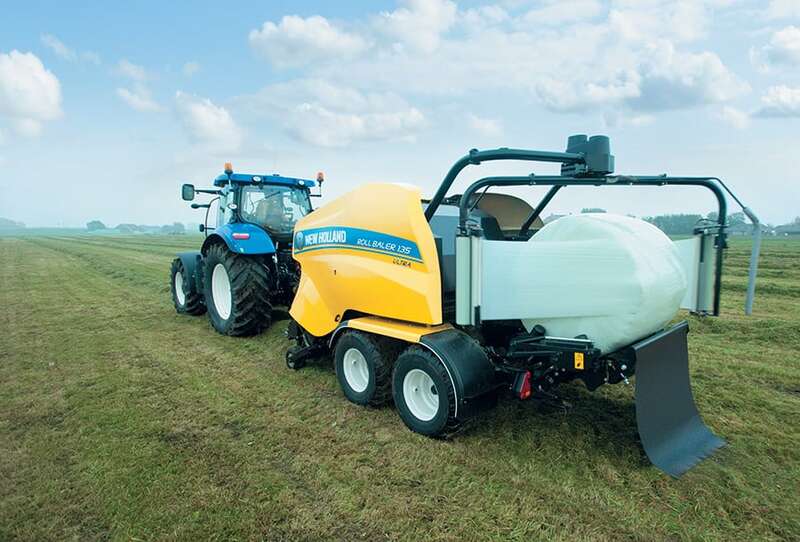 This minimises oil consumption without any compromise in efficiency. 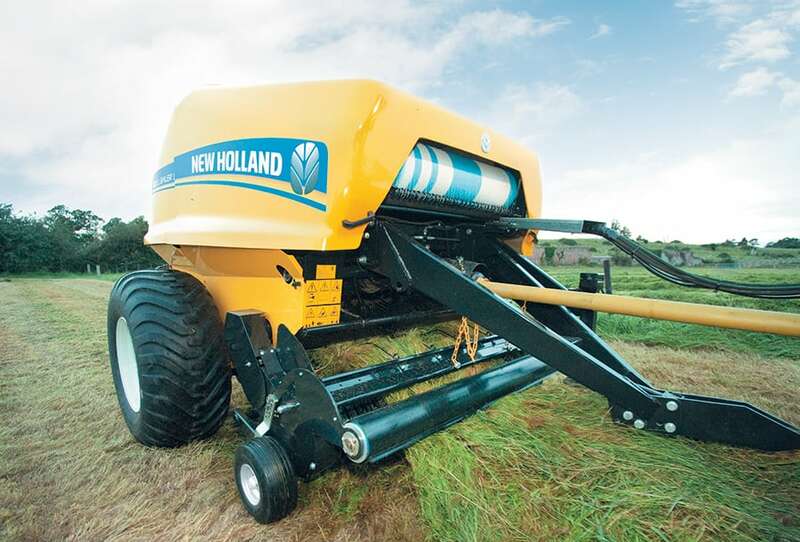 Heavy-duty chains are fitted to all Roll Baler models as standard.